Online LED Sign wholesaler AffordableLED.com is targeting small and medium sized businesses to invest in LED signs. The company is offering a lowest price guarantee for all of its products. AffordableLED.com is now fixed on directing all their marketing efforts to attract small and medium sized businesses so these companies can finally see the advantages of LED signs over neon signs. Now is the best time to invest in LED signs as AffordableLED.com is offering its products with a low price guarantee. AffordableLED.com, an experienced online LED sign wholesaler is a company that not only prides itself in making the most creatively-designed LED signs, the company also makes sure that they give all their customers, the lowest-priced LED signs online. AffordableLED.com even espouses that customers are free to compare their prices with any other LED sign maker and if they find a cheaper maker, AffordableLED.com will automatically match their price. 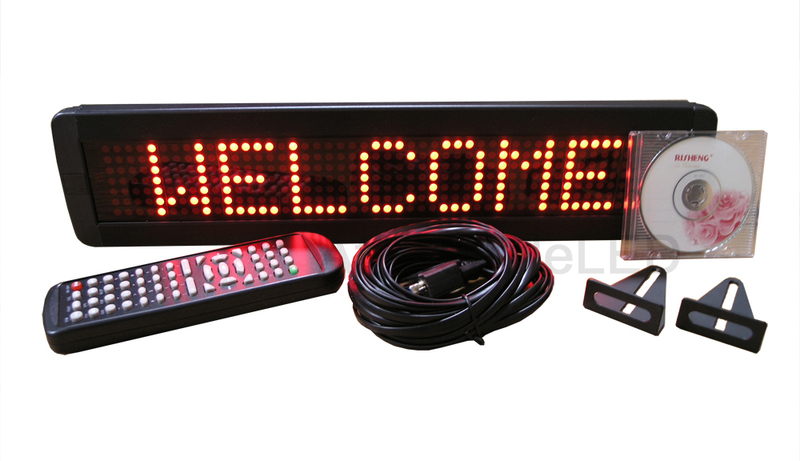 Currently, there are already quite a number of LED signs being offered by the company. From the usual coffee and laundry LED signs to ice cream and sushi LED signs, practically anything can be made into a LED sign depending on the specific needs of the client. LED signs are indeed the future of all window advertisements. They are known to have a number of advantages over traditional neon signs. LED signs are not only cheaper to maintain and operate, it also gives the business more flexibility and creativity in terms of designing an effective business signage. LED signs consume around 80% less electricity, giving any business owner an instant advantage over neon signs. What's more, LED signs also incorporate movement in their designs, making it more interesting to look at and instantaneously catching the attention of your customer. In terms of safety, LED signs are very safe and do not contain any dangerous gases. Neon signs, on the other hand, can be dangerous especially in the event when the tubing breaks. These signs contain a combination of argon, mercury and neon, which by themselves are relatively harmless to people but when mixed together, can be quite lethal. This is precisely the reason why neon signs are un-repairable and once broken, are literally thrown away. Being a pioneer and an expert in the design and manufacture of LED signs has made AffordableLED.com a highly respected and admired company. Customers can finally get the full honest truth as to which business signage to invest on and why LED signs are indeed the better alternative over neon signs. Business LED SignsWe sell a variety of business LED signs, We can also customize LED signs just for you! Business LED SignsWe sell a variety of business LED signs, We can also customize LED signs just for you! Programmable LED SignsProgrammable LED signs are being sold, too. Programmable LED SignsProgrammable LED signs are being sold, too. Business LED SignsWe sell a variety of business LED signs, We can also customize LED signs just for you!